Thanks Janaline. It looks more relax and calm on the blue of the sky and sea. What an interesting and powerful composition Ming – well done! Thanks Tina, I am glad you like this photo. Always enjoy reading your posts. Thank you for liking “Nature’s Black Thumb.” I like the beautiful simplicity of this image. 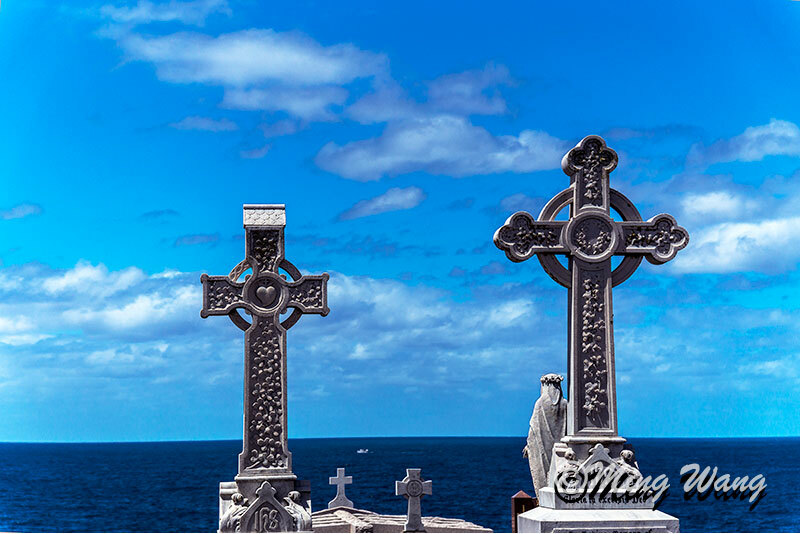 I can easily see the texture and other interesting details of the crosses against the calm blue ocean and sky. You are welcome. Appreciate your visit and comment.